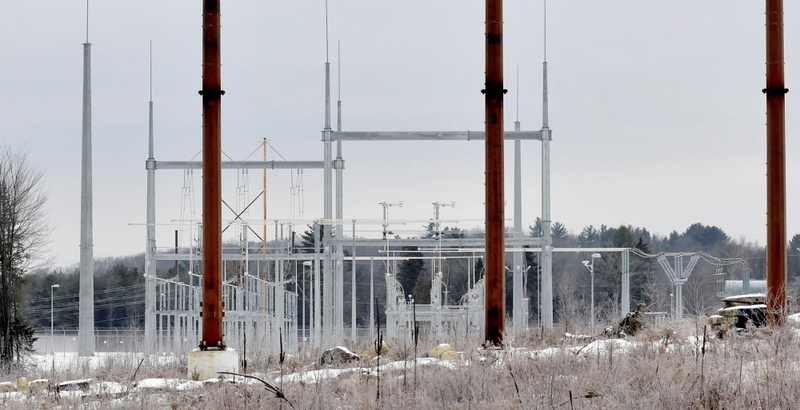 Monday night meeting with a Central Maine Power Co. official will delve into substation noise that Albion Road area residents say keeps them up at night. 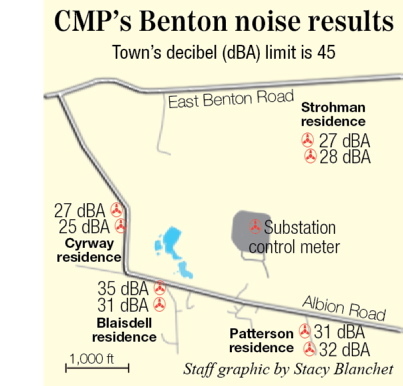 BENTON — The selectboard will meet with a Central Maine Power Co. official next week about continuing complaints concerning noise from the company’s substation, despite a recent report that it didn’t violate the town’s sound level ordinance. The selectboard intends to have representatives from all parties involved attend Monday night’s meeting — including residents, CMP and the Maine Public Utilities Commission — with the intention of talking about potential solutions. Neighbors of the Albion Road substation have complained about a persistent buzzing since May, when the substation began operation. The substation, which takes higher voltage current and steps it down to a lower voltage before it’s distributed throughout nearby communities, has caused frustration and distress for about a dozen Albion Road residents. Some of the affected residents are planning their own sound tests, while another is a considering lawsuit. In late December, CMP released the results of its latest sound level tests at four residential locations near the substation. 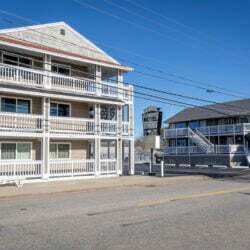 Each test showed that the noise level was below the nighttime ordinance limit of 45 decibels, according to the report by TRC Environmental Corporation of Lyndhurst, N.J. 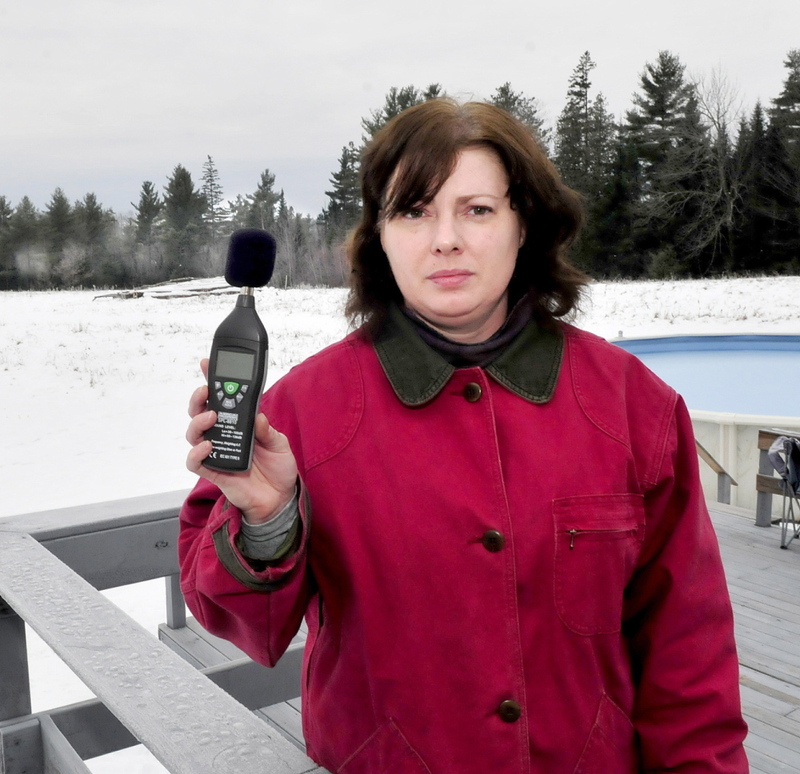 The nighttime limit of 45 decibels is a little below the sound of a normal conversation and is the Maine Department of Environmental Protection’s recommended limit for a noise ordinance. 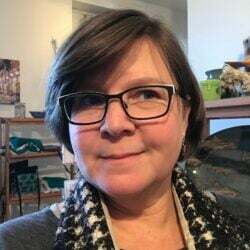 Several of the residents who had sound level testing done at their homes are skeptical of the power company’s test results, including selectwoman Melissa Patterson. “I knew what the report was going to say before we even got it,” Patterson said, adding that she believes CMP cherry-picked the times and conditions to run its tests and they weren’t done when the noise level was loudest. The tests, which were conducted from late night on Nov. 20 to early morning Nov. 21, were run during a night of calm wind and clear skies, according to the report, with temperatures between 25 and 32 degrees. Ten-minute measurements were taken at two locations at four nearby homes, while a control sound level meter was conducting measurements at the substation. The sound level at each location was below the 45 decibel limit, at between 25 and 35 decibels. Cherry Strohman, who lives at one of the four houses tested, disputes the results. The levels at the two sites at Strohman’s home tested came in at 27 and 28 decibels. In early December, Strohman wrote down the decibel levels she recorded with a hand-held sound meter that the town lent her. She took the readings from three locations, her front porch, back porch and outside her bedroom window. From Dec. 4 to Dec. 11, between midnight and 2 a.m., Strohman recorded sound levels ranging from 46 decibels to 51 decibels. A couple of the substation’s antennas can be seen over the trees from Strohman’s back porch, about 500 yards from the structure. A retired anesthesiologist, Strohman, 43, has Parkinson’s disease and said the noise has affected her sleep. Strohman, who will attend Monday’s meeting, is looking into litigation against CMP. The highest reading recorded during CMP’s Nov. 20 and 21 tests was 35 decibels at resident Doug and Sue Blaisdell’s home. “The sound is constantly there,” Doug Blaisdell said, adding that because of the noise, backyard recreational activities such as relaxing campfires are almost out of the question. Blaisdell, 45, said that he’s a heavy sleeper, but if he’s woken up by the sound, it’s difficult for him to fall back to sleep. The noise, however, affects his wife, who said she’s a light sleeper. “Our bedroom faces the substation, so there’s no other place for us to fall asleep,” said Sue Blaisdell. The family has lived at the Albion Road property, which is about 1,400 feet from the substation, for 26 years. Sue Blaisdell, 44, said that during the summer her family would have a tranquil backyard fire a couple times a week. Now, the persistent humming, which she described as similar to a refrigerator constantly running, prevents the family from relaxing at night in the backyard. She said the noise was so disruptive, she wanted representatives from CMP to experience it firsthand. “I’ve invited people from CMP to come out and have a campfire with us,” she said. John Carroll, a spokesman for CMP, said that he will attend Monday’s selectboard meeting to talk with residents. Anthony Agresti, of the Institute of Noise Control Engineers of Springfield, Ill., who oversaw the sound testing at the residences in November and a representative from Burns and McDonnell, the New Gloucester-based engineering firm that oversaw the construction of the substation, will also attend the meeting. He said even though the tests show that the Benton substation meets the town’s ordinance, CMP is still open to resolving problems. Carroll wasn’t specific on what could resolve the problem. Instead, he said the town could work with Leah Sprague, an ombudsman for Maine Public Utilities Commission. Sprague confirmed that she will be at Monday’s selectboard meeting, but declined to comment on the ongoing issue. The town, however, is still looking at plans of action. At Monday’s meeting, it plans to have acoustical consultant Warren Brown of EnRad Consulting attend the meeting. Selectman Antoine Morin said the town is still weighing its options, but it could hire Brown to produce its own report. The Blaisdells, who will also attend Monday’s meeting, intend to hire an acoustic engineer to take a sound level measurements at their home. They are still considering several contractors. “This way, CMP will have its copy, the town will its copy and I’ll have mine,” Doug Blaisdell said. One of the difficulties has been getting all the necessary people in the same place at the same time, Morin said. But most of the major parties should be in attendance at Monday’s meeting.